Hip-hop was born on city streets where the only instrument needed was a voice and a discarded cardboard box could double as a dance floor. Teenage youth found their stories of street life had mass appeal and an art form that came from nothing became a billion-dollar industry. And from hip-hop’s earliest days, WRIU was there, playing the music, spreading the message. Top five dead or alive? DJ Padrino The Connect considers the question as he gears up for his show, “World Premiere Wednesdays,” on WRIU, which airs from 3 to 6 p.m. every week. Two of hip-hop’s giants and its early casualties, Tupac Shakur and Biggie “The Notorious B.I.G.” Smalls, make almost everybody’s top-five list, he notes. But the two died within six months of each other in the late ’90s. So, out of respect and to be accurate, “top five dead or alive” is invoked when ranking hip-hop’s greats. “Sometimes we don’t get to enjoy the full scope of an artist’s talent,” Padrino says and shakes his head. The “dead-or-alive” qualifier fuels critics of hip-hop who have legitimate reasons for their condemnation of it: There’s the violence, the glorification of drug culture, the misogyny, the profanity, the homophobia, the disrespect for police. No argument from Padrino there. But he would add that much of hip-hop is also a dialogue whose roots lie in street life and the socio-economic disparities inner-city kids faced at its inception — and still face today. Hip-hop is their response. And it is unique among art forms because it came from virtually nothing. Its theme is epic and ancient: suffering and struggle. It is art born of adversity. And a platform. And this is where WRIU played and continues to play a pivotal role. The student-run, nonprofit station devotes 16 hours of programming a week to hip-hop. No other genre’s share of airtime comes close. 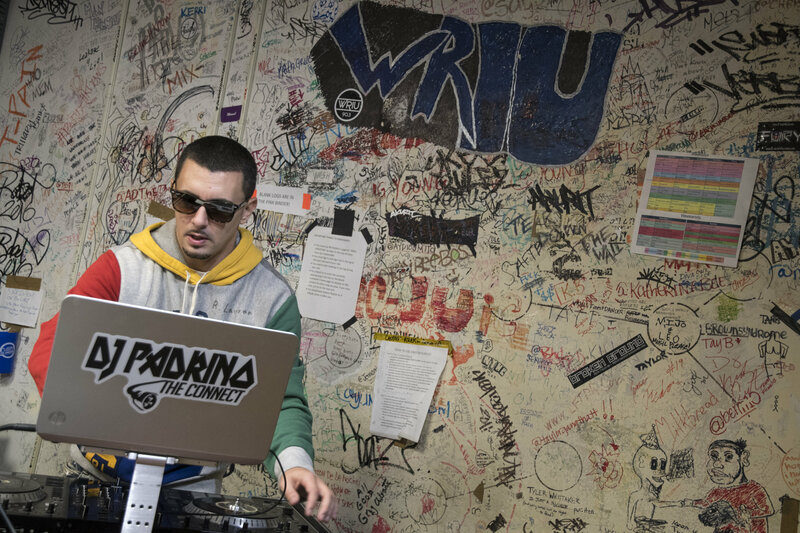 Jack O’Mara ’19, WRIU’s general manager, characterizes the station’s hip-hop audience as connoisseurs, listeners who are not necessarily interested in mainstream rap. And his job is to meet demand. For the FM station, that means contracting with professional DJs such as Padrino, whose age (27), maturity, and experience in the field (more than a decade) greatly reduce the likelihood of FCC fines for the broadcasting of indecent or profane programming. A station can face a fine of more than $350,000 and the revocation of its license for a single offense. One and done. Poet and essayist Reza Clifton ’03 got her MC career going at WRIU. 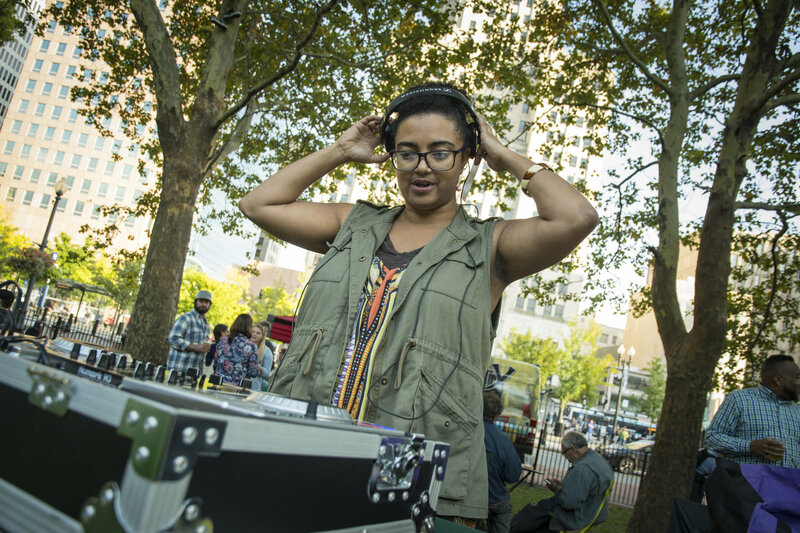 A former student DJ, Clifton introduced the campus to both female rappers and world music when she joined the show “Voices of Women.” Clifton introduced listeners to household names like Queen Latifah, Lauryn Hill, and Nicki Minaj alongside lesser-known but equally talented musicians such as Foxy Brown and Roxanne Shante. Put another way: Janet Jackson is the real deal. Paula Abdul, not so much. Like Padrino and O’Mara, Clifton credits WRIU with filling a void in the state’s music scene. In the early days of hip-hop, WRIU was the only station dedicating hourslong blocks of programming to the genre. Now nearly 40 years old, hip-hop is garnering Tonys and Pulitzers. Its most successful artists are billionaires. Museums are building collections around hip-hop, and professors are studying it in their classrooms. PBS recently declared it the most popular form of poetry in human history. Its power and influence show no signs of waning. Certainly, WRIU won’t be changing its programming priorities any time soon. No surprise to MC Clifton. “The reason hip-hop will continue is because it still represents the voice and mood of the culture of the oppressed. It was conceived of and grew in New York City, an underfunded city at a time when cuts to music programs were happening in schools. Hip-hop was almost ‘The Little Engine That Could’ whether there was funding or not,” Clifton said.